Episodic and unconvincing, Spy Game is a disappointingly muddled movie. Neither the action nor the story deliver the requisite realism, with stars Robert Redford and Brad Pitt left to fend for themselves against poor material. It's 1991, and CIA agent Tom Bishop (Pitt) is attempting to rescue a captive from a Chinese prison by impersonating a doctor. It all goes wrong and Bishop himself is apprehended and subjected to torture. Bishop's mission is unauthorized, and back at CIA headquarters in Langley, Bishop's former partner Nathan Muir (Robert Redford), one day away from retirement, is grilled by his superiors regarding what he may know about Bishop and the covert assignment. With the clock ticking down towards Bishop's execution by the Chinese, Muir recounts their history together, including a sniper mission towards the end of the Vietnam war, narrow escapes on the wrong side of the Berlin wall, and an attempt on the life of a terrorist leader in war-torn Beirut. In this last mission, Bishop meets and falls in love with aid worker Elizabeth Hadley (Catherine McCormack), who has a dark past of her own. The romance leads to a rift between Bishop and Muir, and may help explain Bishop's ill-fated infiltration of China. Muir has to figure out how to help his former partner while fending off the Agency's bureaucrats who are more interested in protecting reputations than rescuing one of their own. The central story of Spy Game takes place in and around a meeting room in Langley, with Muir all too easily outsmarting a gaggle of CIA suits, and still managing to deke in and out of the room to untangle Bishop's mission and arrange a rescue attempt despite being under intense scrutiny. The script by Michael Frost Beckner and David Arata does not come close to making any of this persuasive, least of all the hours spent supposedly going through historical missions while Bishop's life is under imminent threat. Spy Game is a bit better in recounting previous episodes from Muir's partnership with Bishop, but even these quickly sacrifice realism for perfunctory thrills, with each successive mission stretching the limits of credulity. 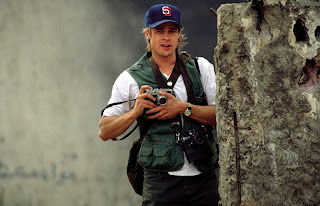 Spy Game finally settles into director Tony Scott's zone of comfort, where all is kinetic and nothing is believable, undercutting with finality the movie's supposed purpose of having a stab at the grim realities of modern spy life. 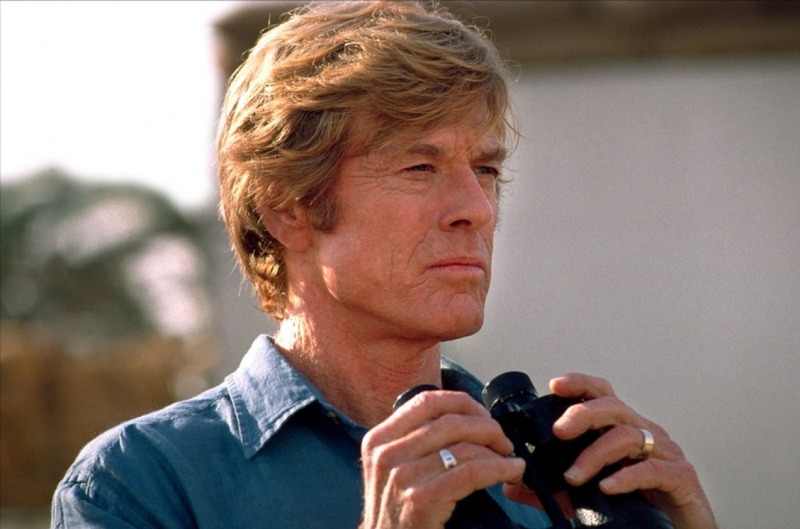 Redford and Pitt do their best, salvaging some interest by quickly settling into the roles of cold-hearted mentor and passionate mentee, but the material is superficial and thin for the actors to do much between the attack helicopters, car chases, and explosions. McCormack's role is minor and registers the single key, while the likes of David Hemmings and Charlotte Rampling are available to provide interest but get dismissively ignored and consigned to mere minutes. Spy Game is a germ of a good story stomped by the heavy boot of slip shod execution and a cheap sale to thrills over thought.